What is so wonderful about Andalucía is the extent of riding available here. 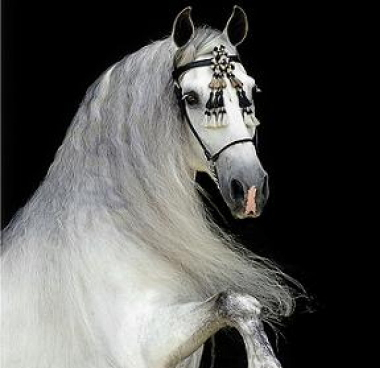 The famous Andalucían Horse has spectacularly encouraged the horsey world in Spain for years and years. 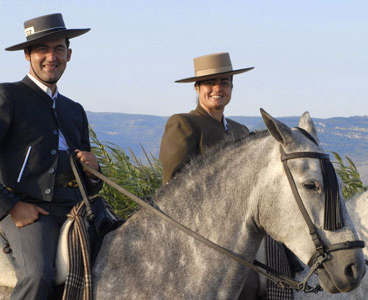 Andalucía is famous for its beautiful scenery, and beautiful horses – what a combination! Local horse riding centres offer beginners classes, classes of improvement as well as scenic beach and forest rides, routes and sport events to get a taste of the magic of Andalucía! 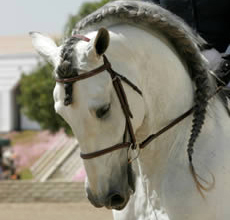 In Chiclana you can find various places to offer horse riding – one the most prestigious is Royal Center Hípica and also they have a very nice restaurant there which hold flamenco and horses shows (in summer). Jerez is the home of the Real Escuela Andaluza del Arte Ecuestre, and is known all over the world thanks to its show entitled “How the Andalucian Horses Dance”, a unique exhibition of horsemanship which both exhibits and summarises the work which the institution has carried out. If you buy a joint ticket to visit the Royal School and the Horse Carriage Museum, located just behind the Royal School, you can visit the museum and discover the wonderful world of driving thanks to a splendid collection of carriages and the very latest multimedia technology. The Cartuja Monastery has become an essential centre for the local horse breeding since it was founded at the end of the fifteenth century. Cartujan monk s bred a herd of horses for three centuries which became one of the most famous and appreciated equine animals in the world. You can visit The Stud Farm on Saturday at 11 o’clock where you will be taken round the installations by a guide who will give you a detailed explanation, and there is also a very beautiful show. After the show you will be invited to a glass of sherry and there is also the possibility of a ride on a horse and carriage. From birds watching, ocean fishing to playing with macaques on the Rock of Gibraltar. Today the Gibraltar population represents the only free-living monkeys in Europe. In Fuente de Piedra Natural Park you can watch the second largest colony of Flamingos in Europe. The magnificent climate allows professionals and amateurs to enjoy golf all the year round. Cadiz is one of the best golfing holiday destinations in Europe. In Andalucia you will find plenty of Events and special Holiday. Every season has it´s own celebrations: Carnival, Ferias, Easter, Horse Races on the beach, Fishing, Religious celebrations, Christmas and many more. Some of Spain’s best surfing, kite-surfing and wind surfing spots are situated in between Tarifa and Cádiz on the Costa de la Luz. In fact, it is the town of Tarifa (Cádiz province) which is considered the birthplace of Spanish surfing. Here you will find national and international surfing championships and events. All year round you can catch a good wind in Cádiz and Chiclana de la Frontera although if you are planning your holidays to spend it on the waves and catching the wind, the best time will be out of the season. Windsurfing is one of the most popular sports in Chiclana de la Frontera and attracts water sports enthusiasts from all over the world to this beautiful region in Spain.